Different countries have different customs for a new year. 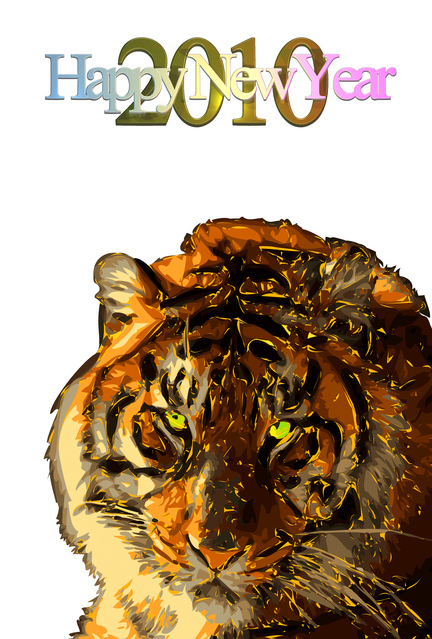 In Japan, many people visit shrines or Buddhist temples with family and friends to pray for health. 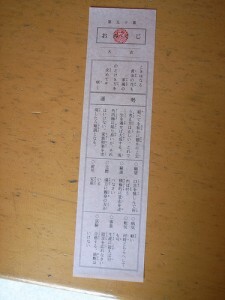 Besides praying, people buy a fortune slip called omikuji, which tells how the person will do in various areas in the new year includes. 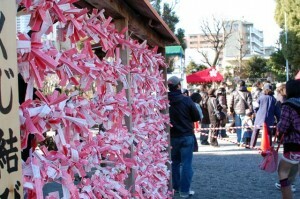 After reading the omikuji, the person ties it on a tree in the shrine. 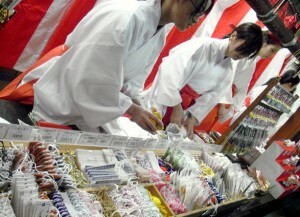 At shrines and temples, they also sell omamori (amulets) and ema (wooden plaque to write a wish). 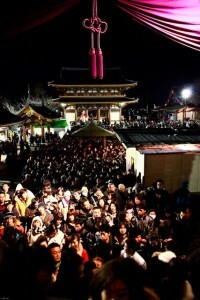 Because millions of people visit to a shrine during the first three days of a new year, most shrines and temples are packed now! Let’s Make Koinobori “Carp Streamer”!